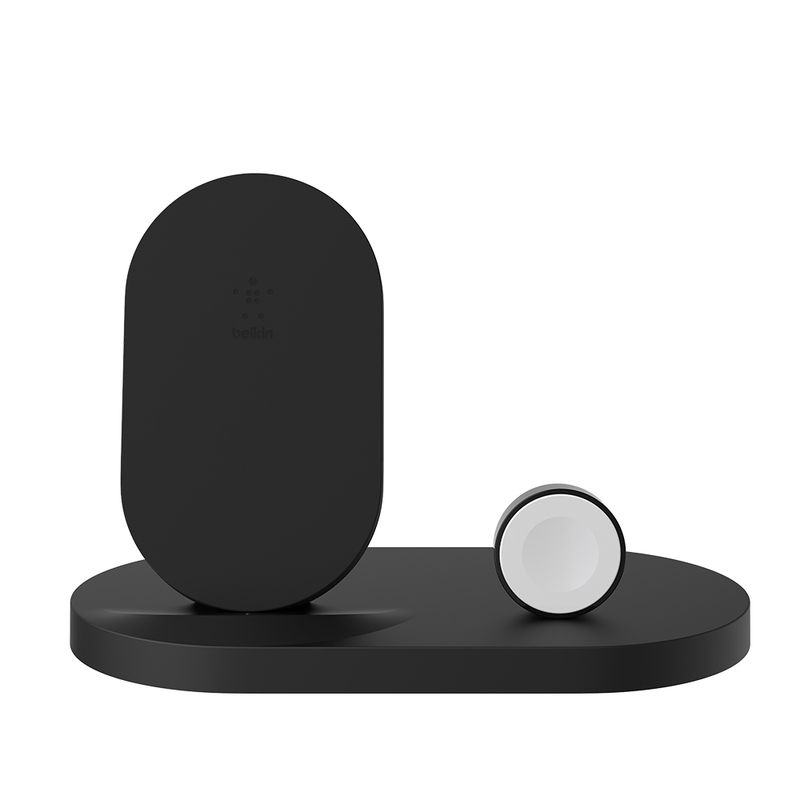 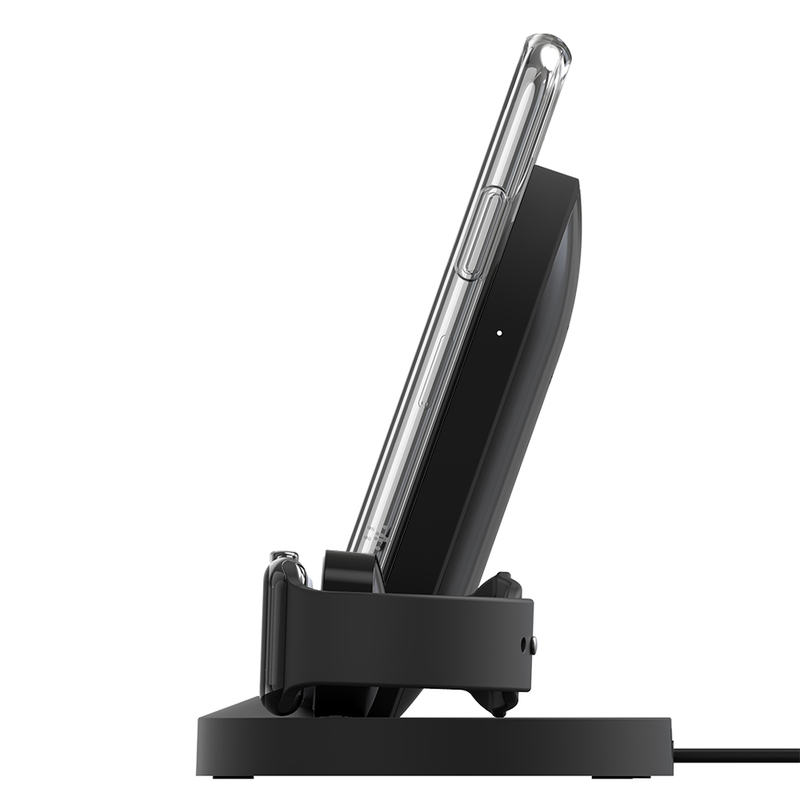 Ideal for your nightstand, the BOOST↑UP Wireless Charging Dock provides 3-in-1 charging to power your essential devices while you sleep. 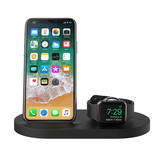 A 7.5-watt wireless charging pad fuels your iPhone at the fastest possible wireless speed for iPhone, while a 5-watt Magnetic Charging Module powers your Apple Watch. 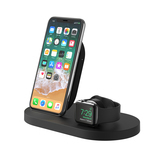 The dock supports Nightstand mode for the Apple Watch to enable the alarm clock feature as it charges. 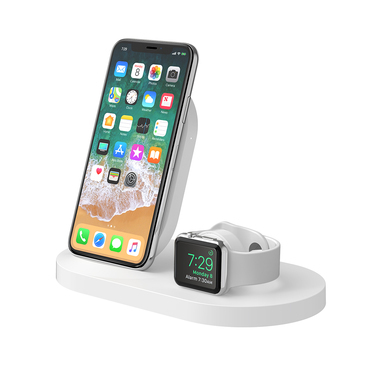 An additional 5-watt USB-A port allows you to simultaneously charge another device like AirPods or power bank, to create a three-device charging station all from a single AC outlet. 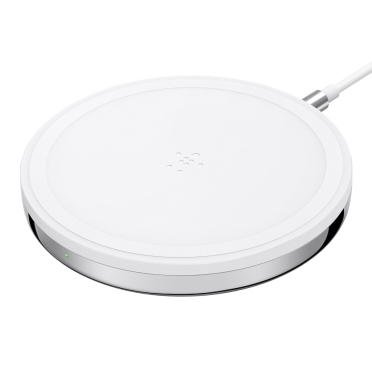 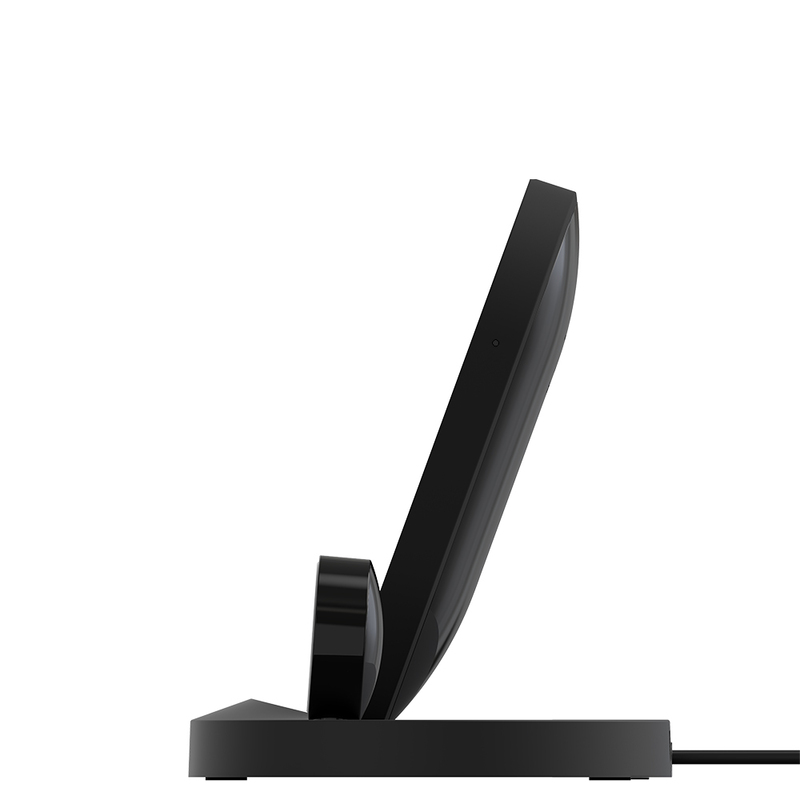 The wireless charging pad is optimized to recharge your iPhone battery as fast as possible. 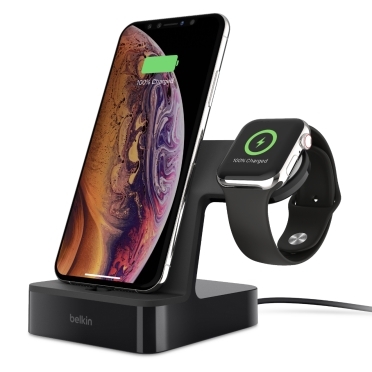 iPhone XS, iPhone XS Max, iPhone XR, iPhone X, iPhone 8 and iPhone 8 Plus are designed to wirelessly refuel at 7.5-watts, so your iPhone will charge faster using this dock than it would using a standard 5-watt charger. 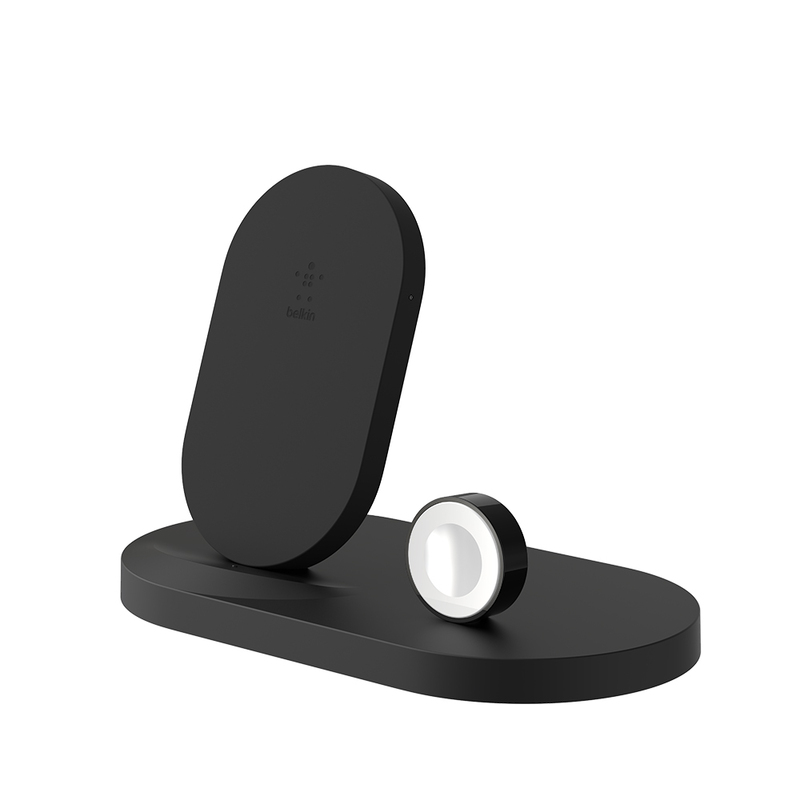 A 5-watt USB-A port allows you to connect a third device such as a power bank, AirPods or legacy device to create a ‘charging station’ on your nightstand. 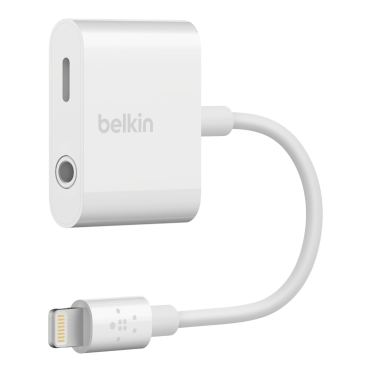 This means all your essential devices can charge simultaneously to be fully charged when you need them. 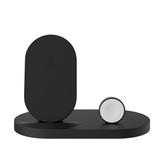 Ideal for your nightstand or your desk, this compact dock reduces clutter and cables by safely connecting three devices to a single AC outlet.